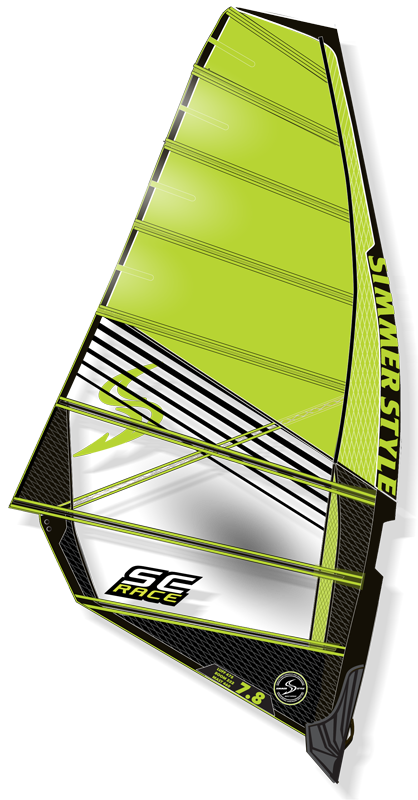 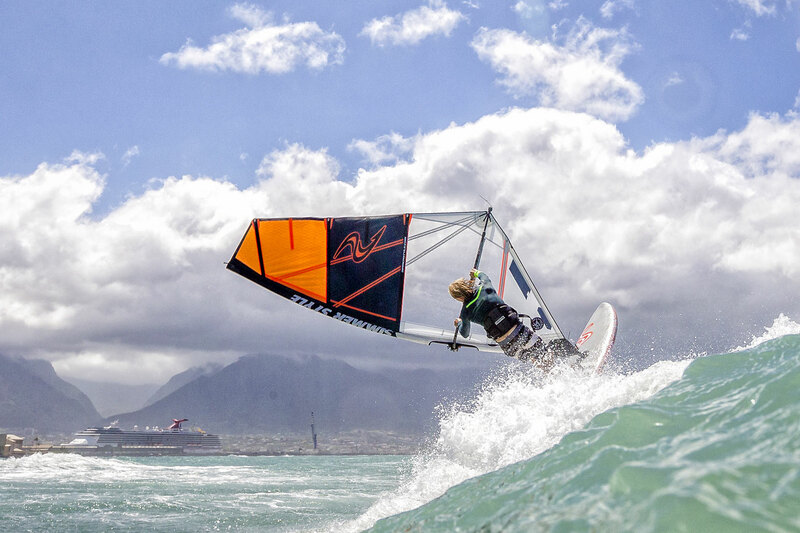 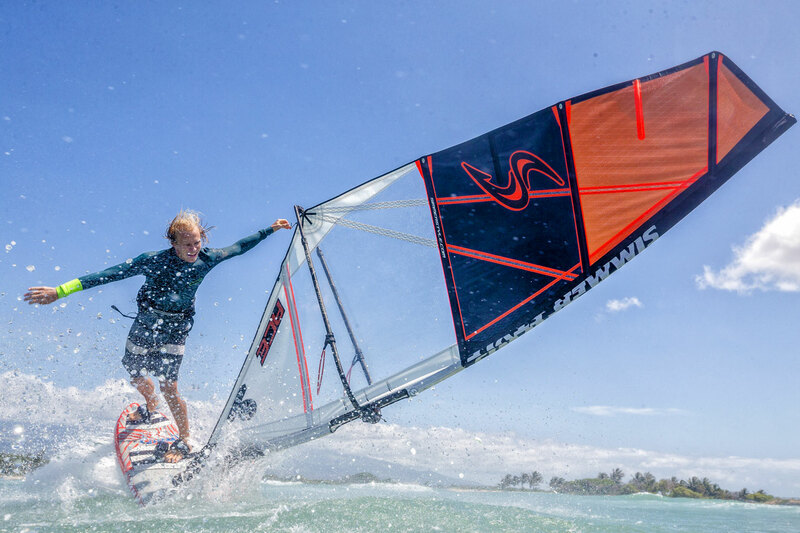 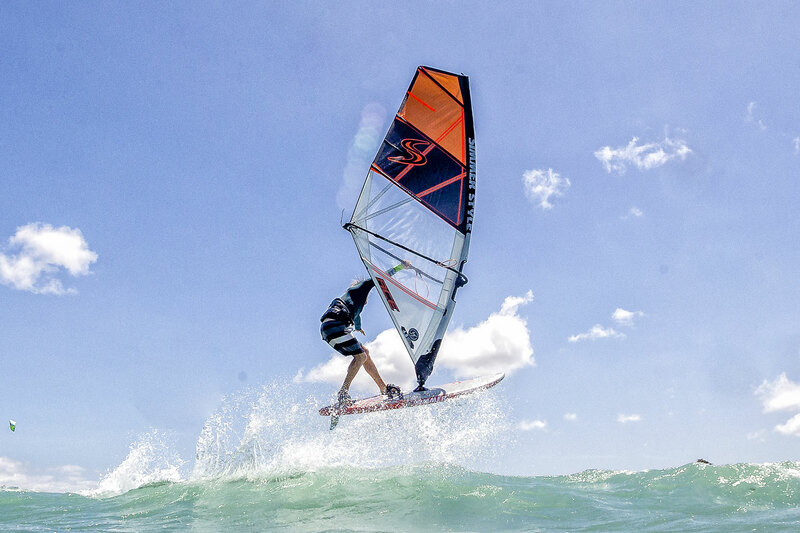 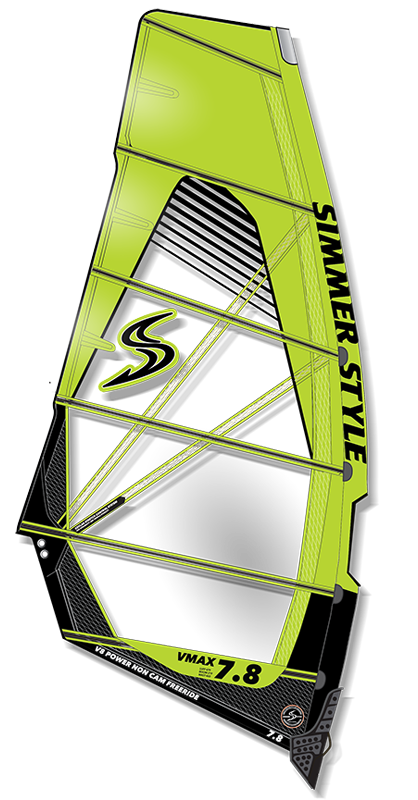 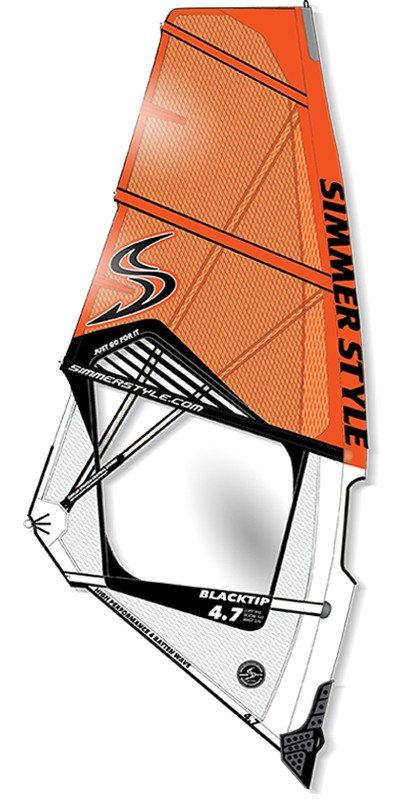 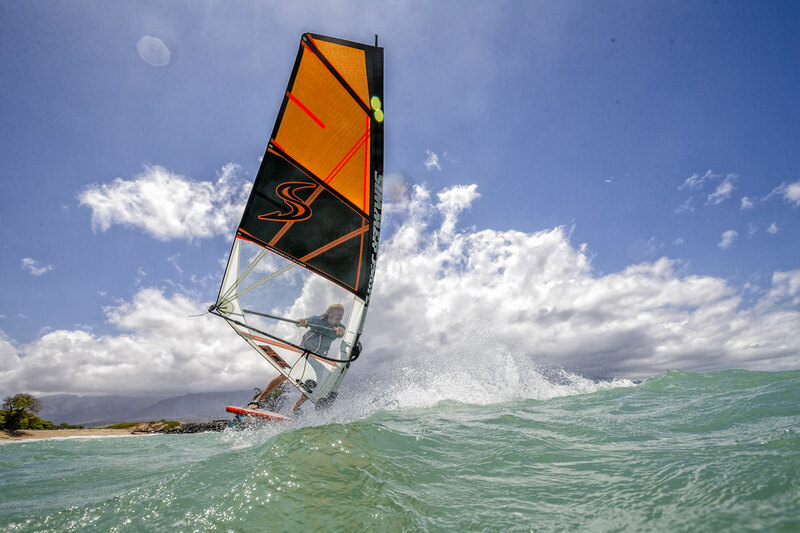 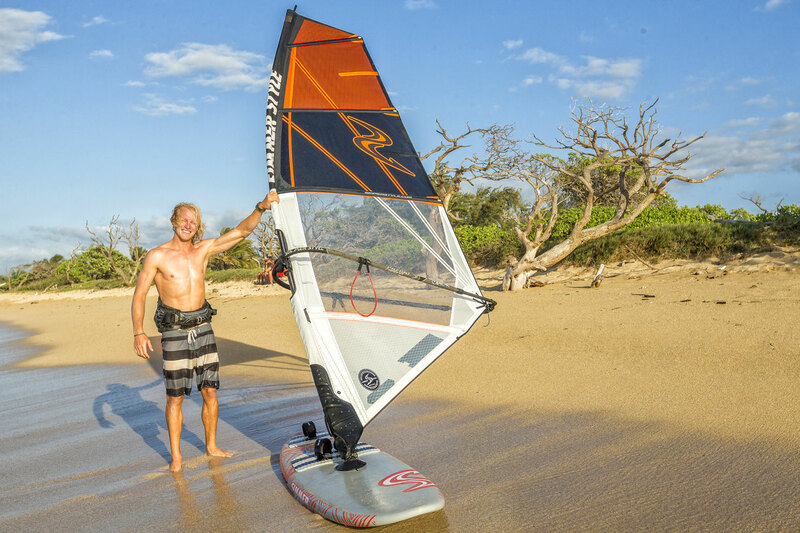 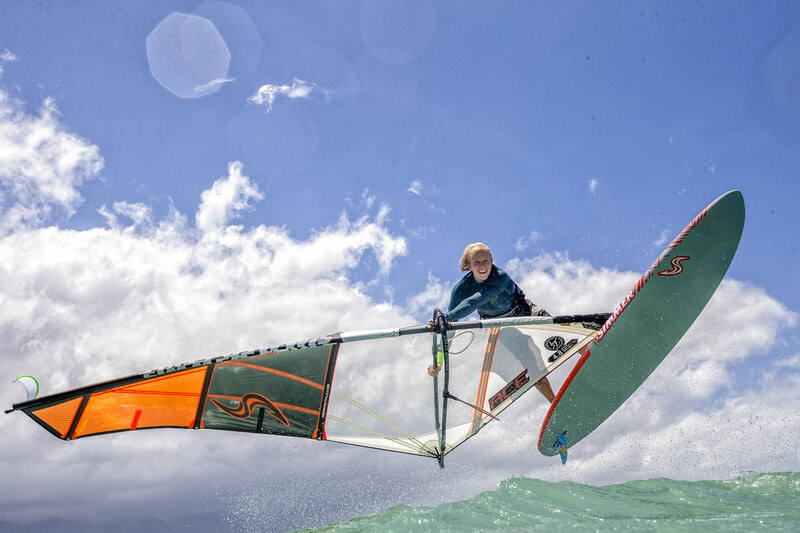 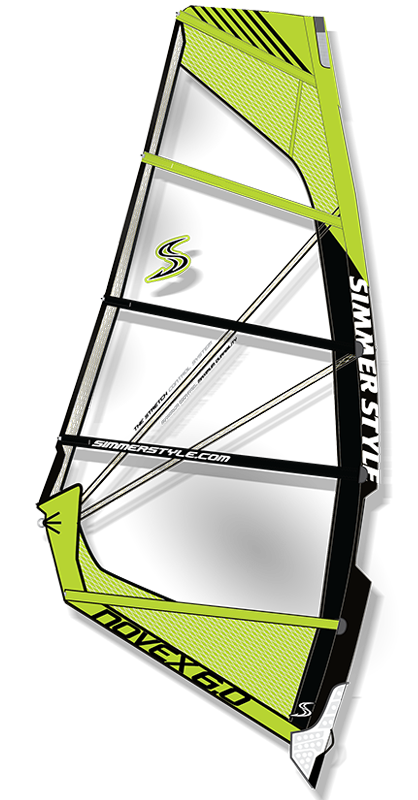 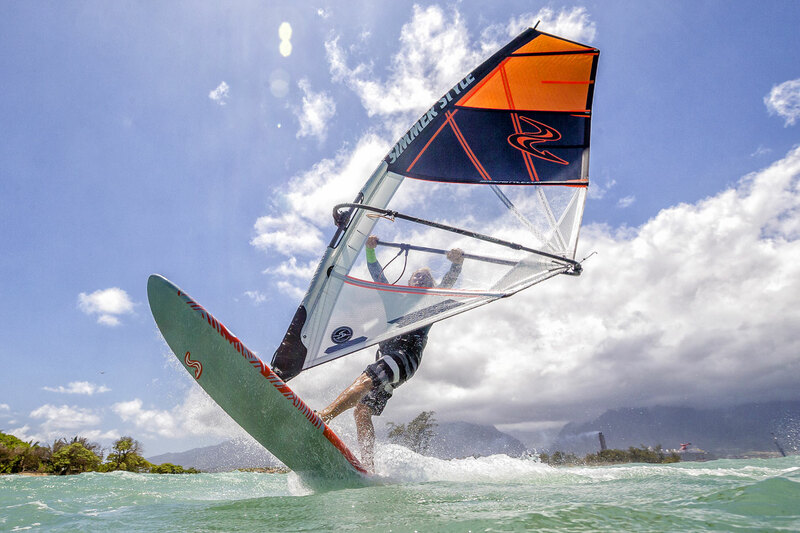 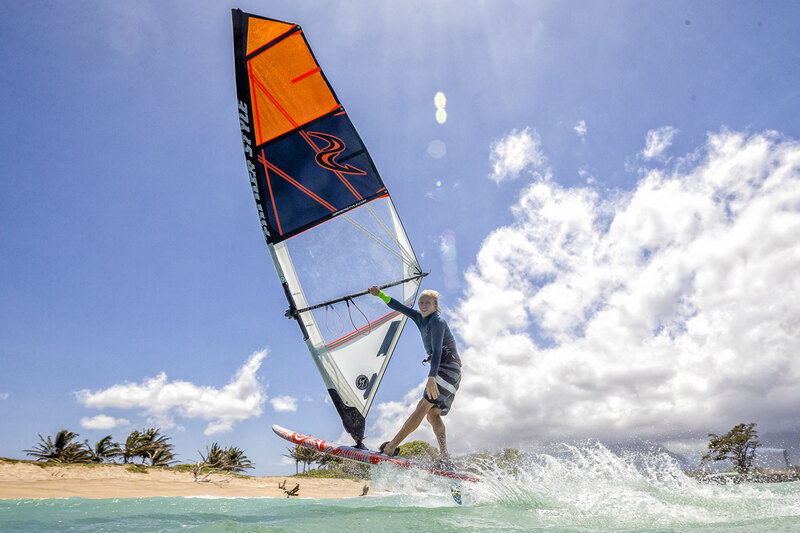 The Ace is designed for any freestyler no matter their ability who wants to improve their level and enjoy their windsurfing even more with a sail that’s designed specifically for manoeuvres. 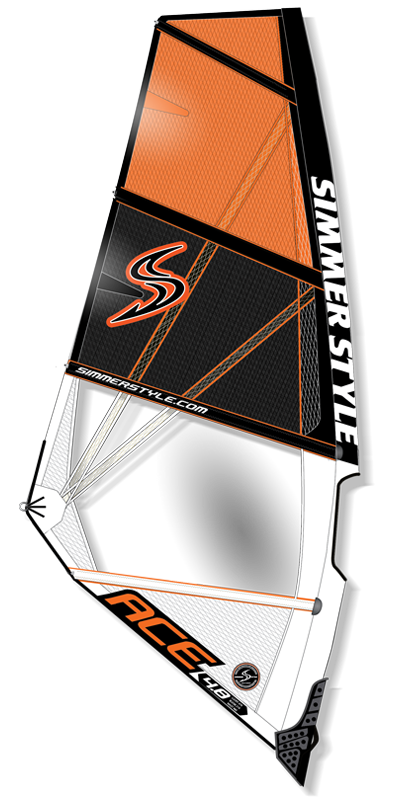 It’s designed with the idea that it will excel for top level professionals and aspiring amateurs alike by providing a well balanced, stable, powerful yet ultra light weight feel. 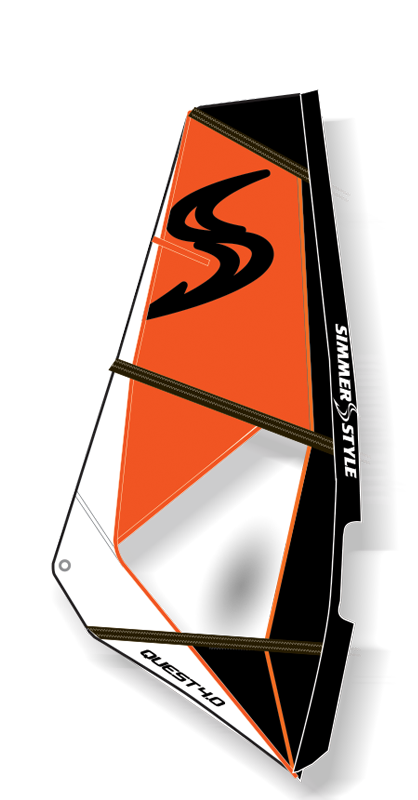 The key strength is that the Ace goes from completely neutral and gains instant power whenever you need it. 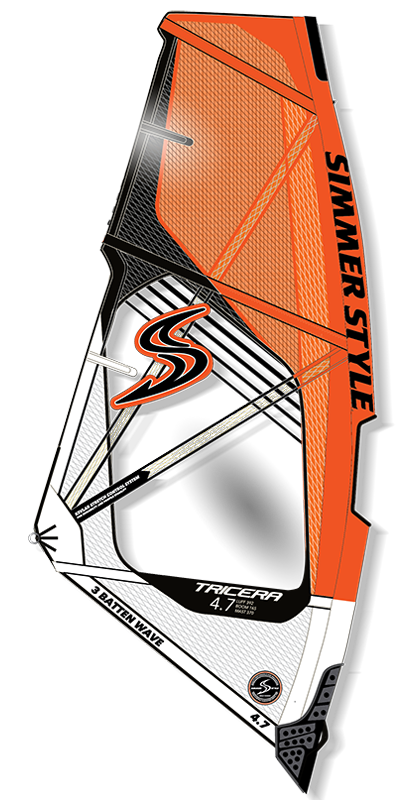 The Ace features a light weight panel layout for light handling, a high cut foot and raised clew for duck tricks plus a dacron luff which provides instantaneous power to direct into manoeuvers. 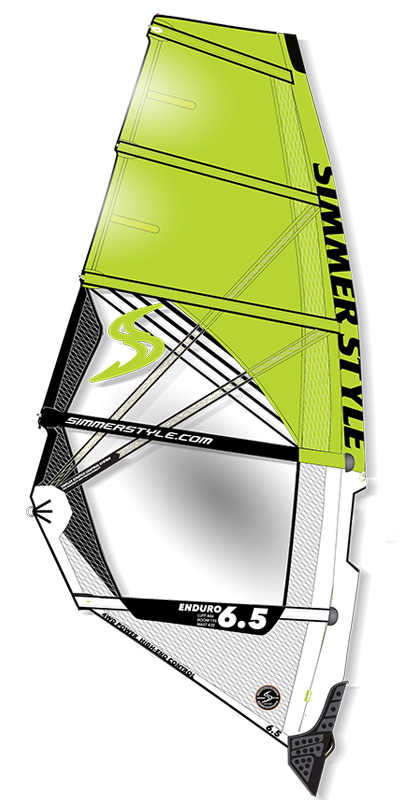 The Kevlar Stretch Control System keeps the draft in place as well as making the sail more durable while enabling the use of super light 2 MIL scrim in the top 2/3 of the sail body. 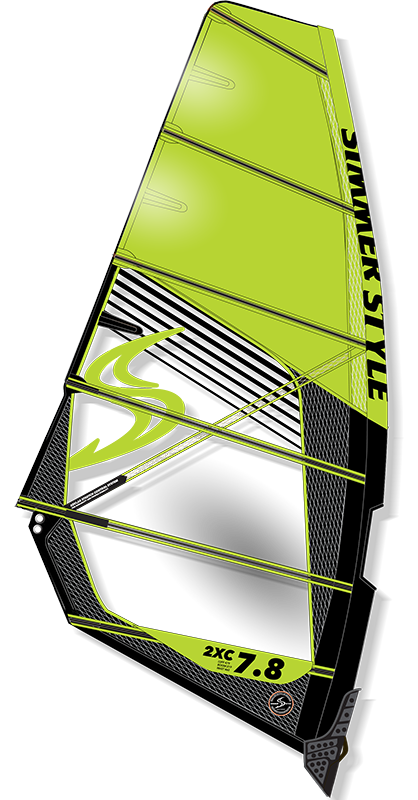 The second generation of Ace features a slightly higher aspect ratio for improved manoeuvrability during moves. 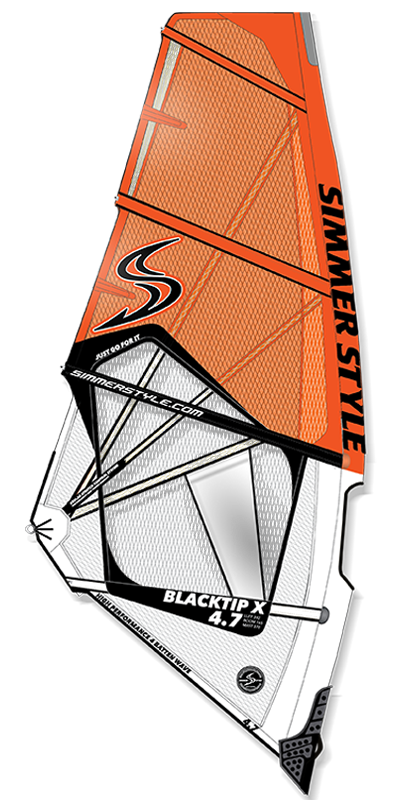 Tighter skin tension generates earlier planing and a more effective power delivery. 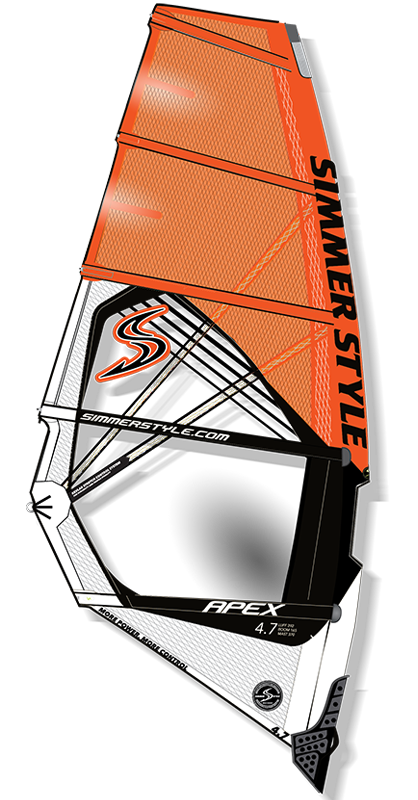 The Ace is a design collaboration between with top freestyler and product developer Max Rowe and Simmer Chief Designer Tomas Persson.